Relax with the scent of sea salt, hibiscus, and essential oils as you gently cleanse, refresh and remove product buildup with this hydrating shampoo that won’t strip hair of it’s natural moisture. 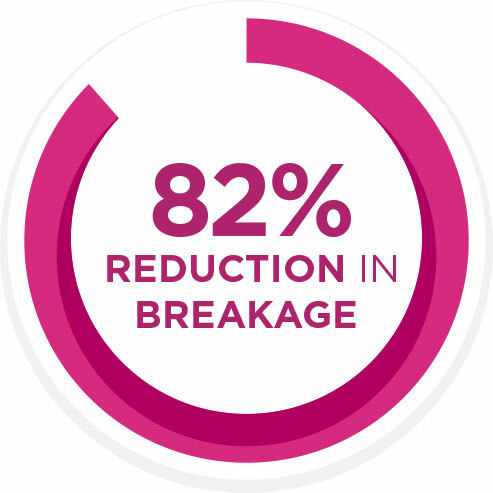 Proven to strengthen and reduce up to 82% of breakage, pair it with Hairfinity Balanced Moisture Conditioner for incredibly soft, shiny, touchable results. Gentle Cleanse Shampoo contains over 74% natural ingredients, including water. Free of sulfates, silicones, parabens, phthalates, mineral oil and petroleum. Directions: Gently massage into wet hair. Lather, then rinse with warm water. For best results, follow with Hairfinity Balanced Moisture Conditioner.